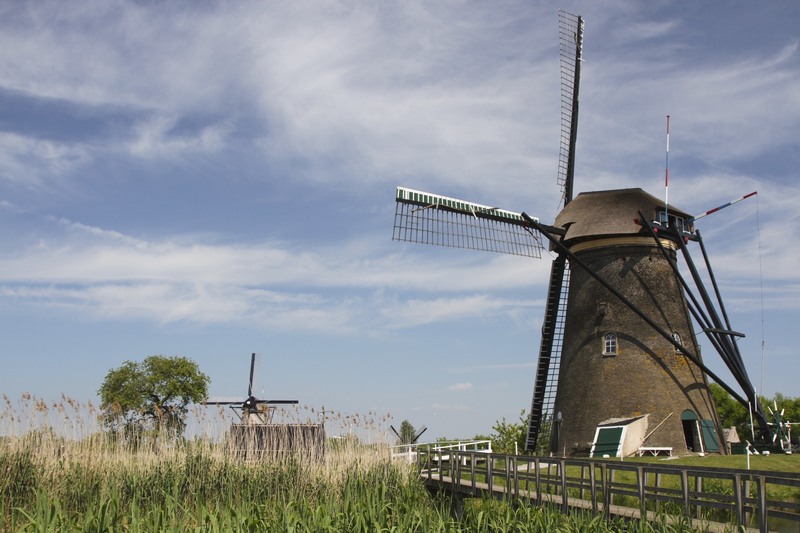 When you look at the statistics, the windmill is perhaps the single most important invention contributing to the physical existence of the Netherlands. Approximately a third of the landmass that is the Netherlands is below sea level, another third is at sea level and the final third is above sea level, although not by much. The onset of global warming and rising sea levels is likely to place much more of the Netherlands under water, theoretically at least. Throughout Dutch history flood defences have regularly been washed away by the ocean with disastrous results; storms that build up in the North Sea and strike the northern European coast can be vicious. The consequences of these storms for low lying areas are frequently terrible. The St. Elizabeth’s Flood of 1421 resulted in over seventy villages and hamlets being washed away, with the loss of thousands of lives and the destruction of vast areas of farm land and animals. The most recent flood disaster took place in 1953 when a tidal surge and storms devastated large areas of the Netherlands; 1,836 people died, 30,000 farm animals were drowned and 10,000 buildings destroyed. The storm also claimed lives in Belgium, England and Scotland. It remains England’s worst modern natural disaster. When the sea surged like this it frequently left vast inland seas in its wake. This is what happened during 1421 in the area between Dordrecht and Rotterdam, including the area which is now known as Kinderdijk. Things were made worse by the cutting of peat for fuel. This left huge holes in the ground which filled up with water to create lakes. 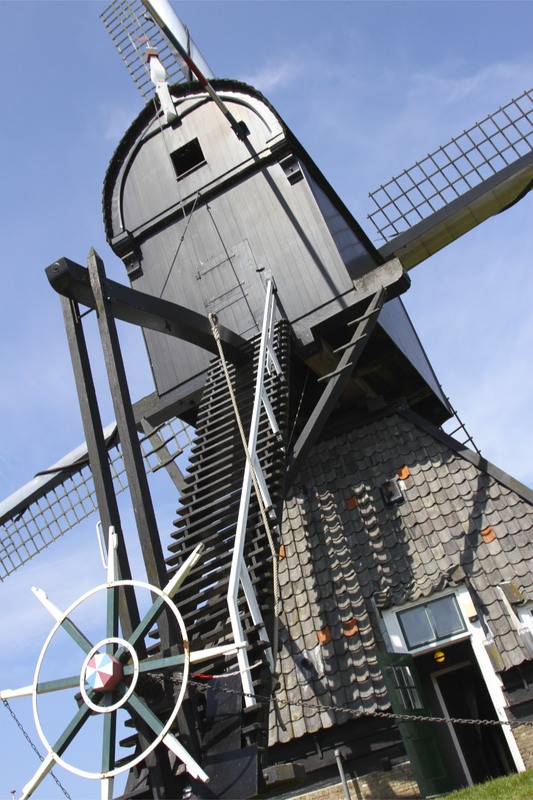 Eventually better sea defences reduced flooding, allowing the Dutch to use the cutting-edge technology of the age, the windmill, to pump water and drain the inland seas. 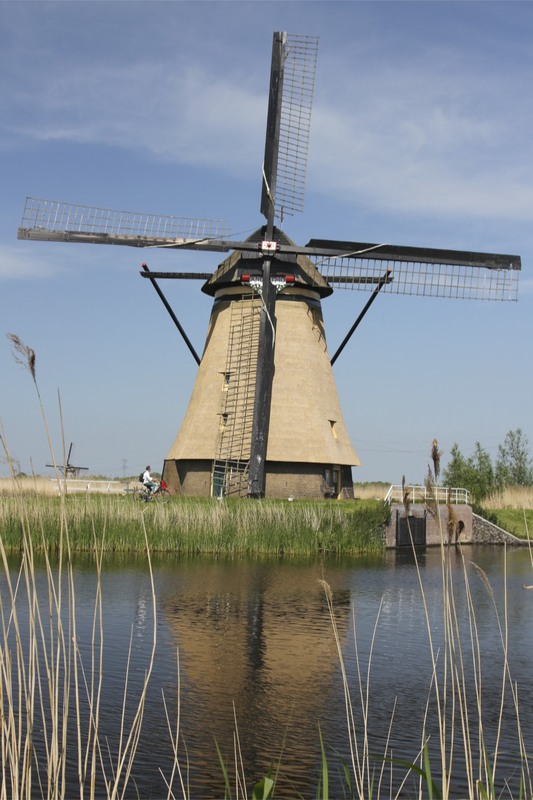 The Netherlands is, in a very real sense, a creation of the windmill. 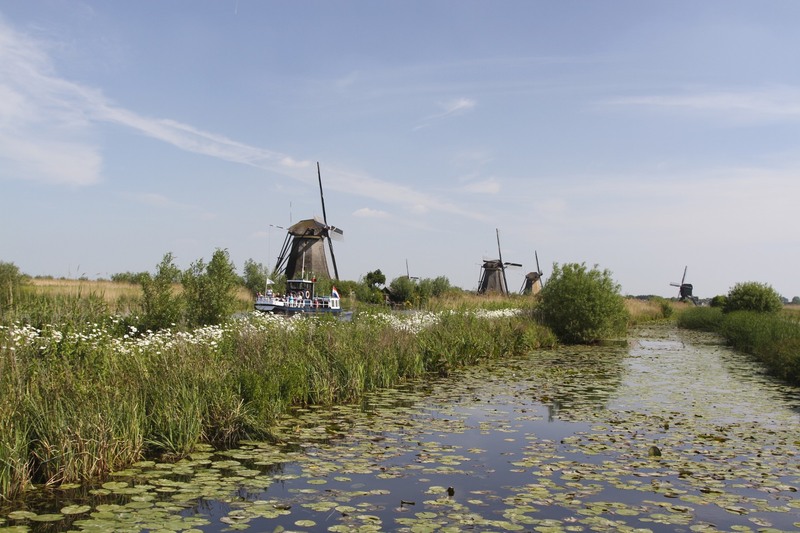 The area around Kinderdijk is an excellent example of this, but the UNESCO listed area known as the Beemster just north of Amsterdam is a classic rural landscape shaped by the windmill. In 1608 it took twenty-six windmills a year to drain this large lake; unfortunately, the dyke burst not long after and flooded the area again. It was eventually drained for good in 1612. 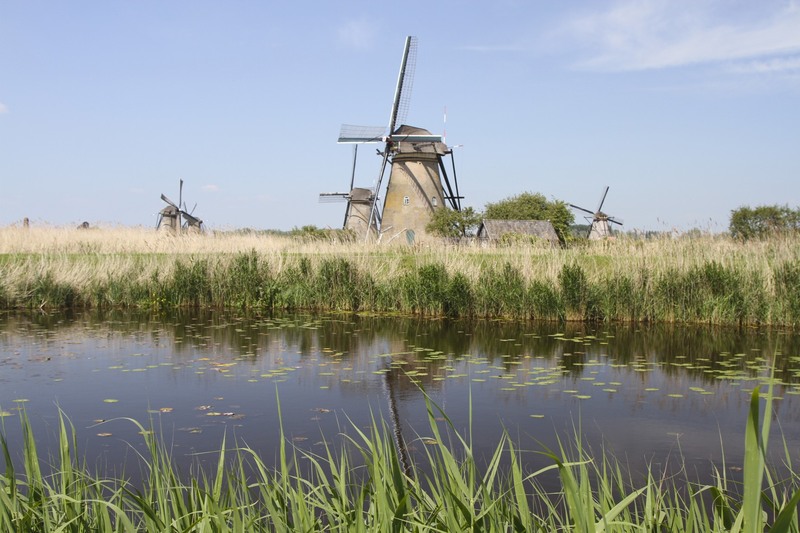 There are numerous other examples of this type of land reclamation across the Netherlands: in the 1630s the ingenious draining of the Schermer involved 51 windmills and took four years to complete. It is impossible to imagine these accomplishments being achieved with only horse and people power. 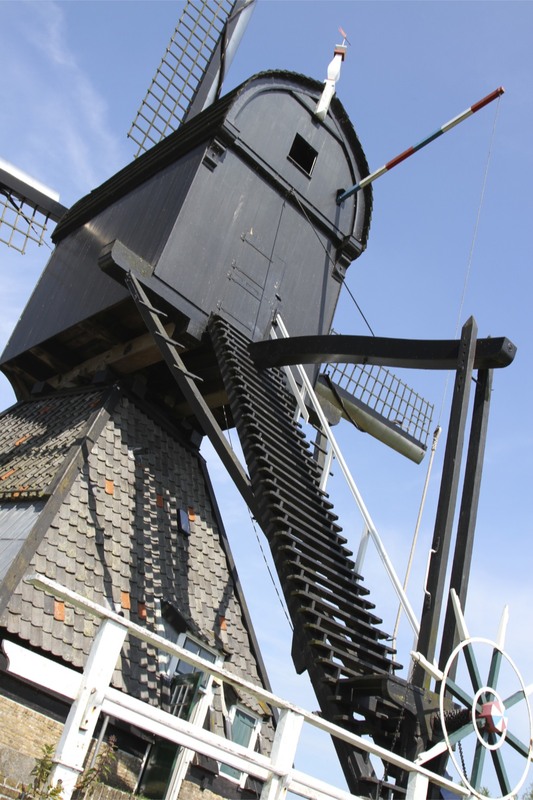 The windmill made the seemingly impossible possible, and the result of these 400-year old feats of engineering are still imprinted upon the landscape of the Netherlands. They may also point to the future. 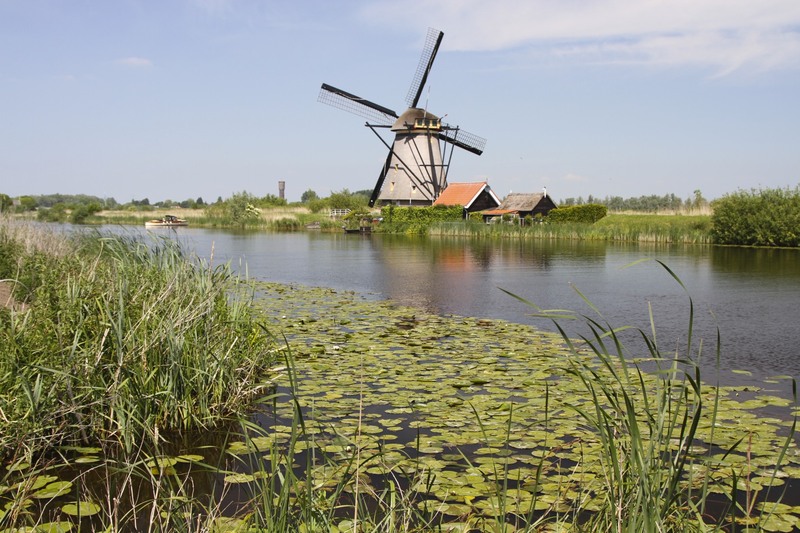 As climate change and rising seas threaten to swamp vast areas of the globe, the Dutch experience may be critical in helping other countries to live with water. 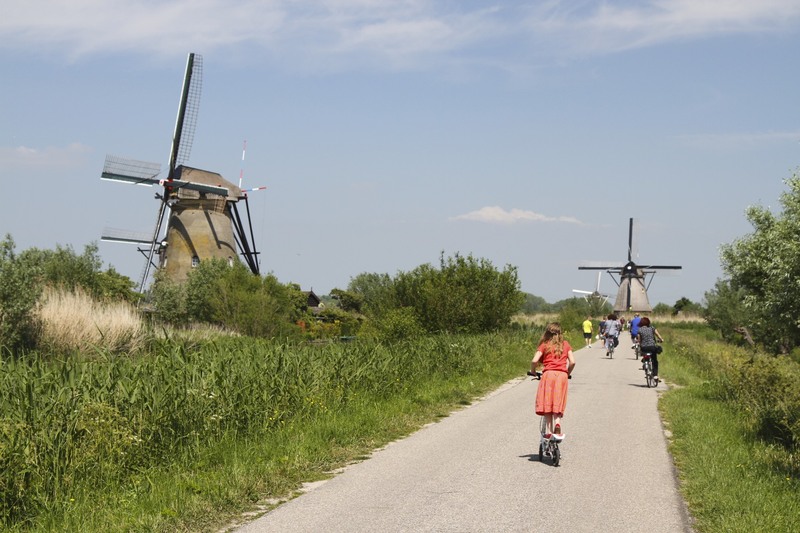 I’m not sure the historic struggle of the Dutch to overcome nature is the main reason most people visit Kinderdijk – and it does receive a lot of foreign and domestic tourists. This is a lovely area to just walk and absorb traditional, man-made, windmill-powered Dutch countryside, and if you walk far enough you may just be able to enjoy it in solitude. 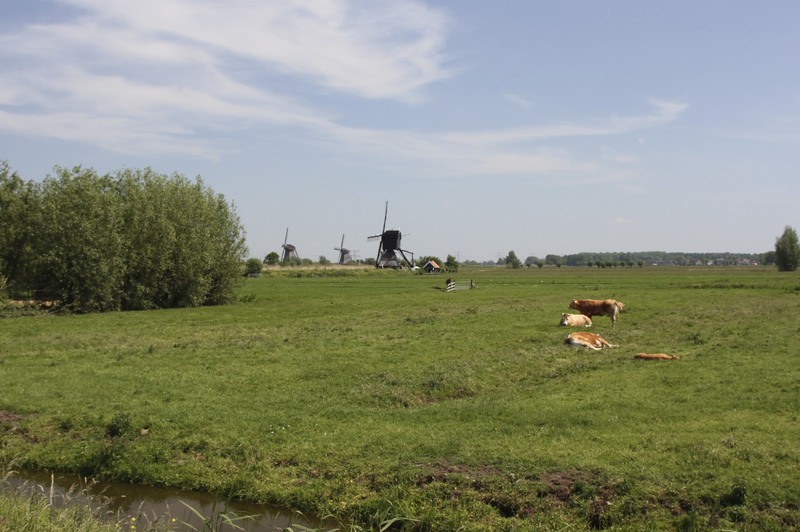 Walking along the waterways of Kinderdijk, admiring the serene landscape dotted with some of the best preserved windmills in the Netherlands, you have to remind yourself that despite the beautiful pastoral scene before you windmills were factories. This is doubly true of the wonderful and typically Dutch landscape around Kinderdijk. Windmills provided the power to drain and reclaim this land from nature and water – this is the epitome of a man-made landscape. Windmills can power many different types of machines – for grinding grain, crushing rock, sawing wood, mixing clay and pumping water. 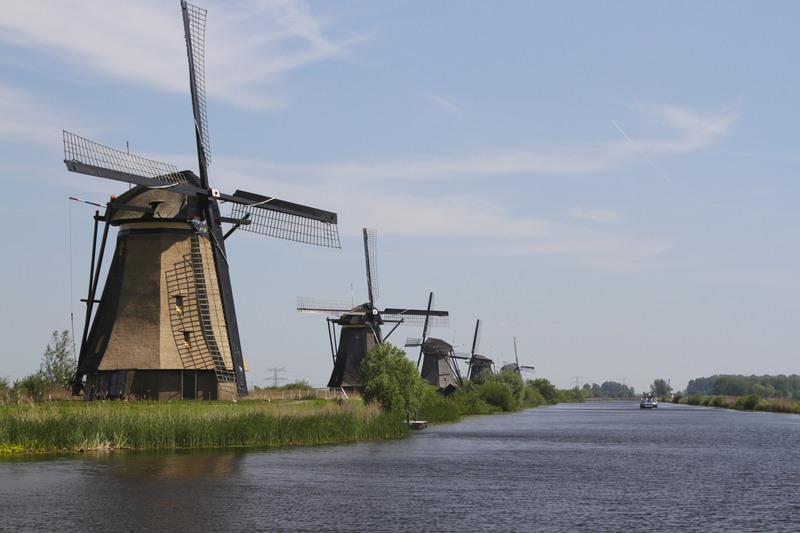 Kinderdijk was apparently named after a baby was washed onto the dyke during the disastrous St. Catherine’s Flood of 1421 – windmills have been used to pump water away from this area ever since. Kinderdijk is home to an exotic variety of windmills: Post mills, a wooden body built on brick foundations, where the whole of the building turns to catch the wind; Rotating Cap or Tower mills, where just the top of the mill turns, allowing it to be built much higher and for the sails to be much longer; and Smock mills, which are built using wood or weatherboard and have up to eight sides. 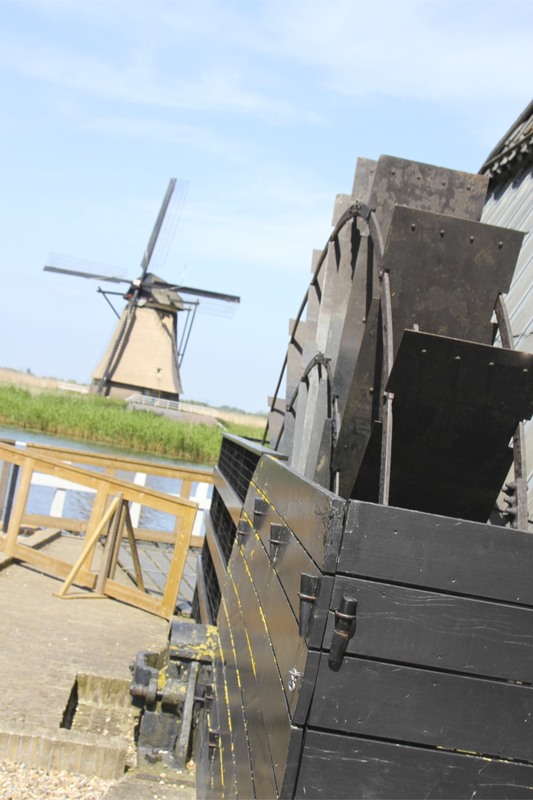 Many of the mills are from the 18th Century, but the De Blokker Post mill dates back to the early 1500s. 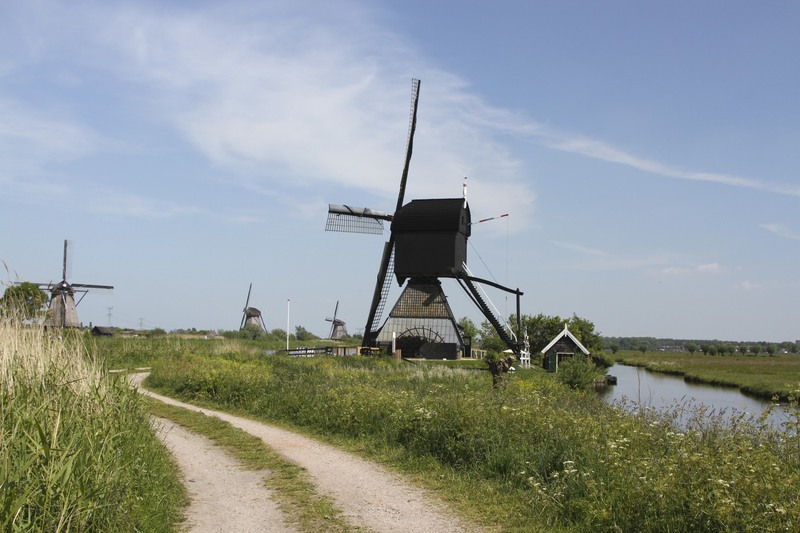 This is a beautiful area to walk and take in the historic landscape, and as the nineteen windmills are spread apart you can happily spend a good half day strolling amongst them. Fair warning, Kinderdijk can turn you into a windmill nerd. 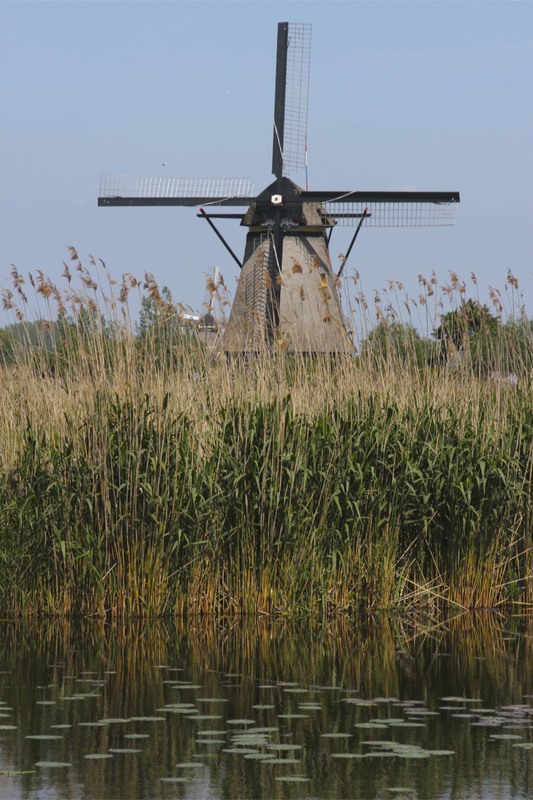 In the low lying Netherlands the windmill changed the course of the nation’s history and geography. 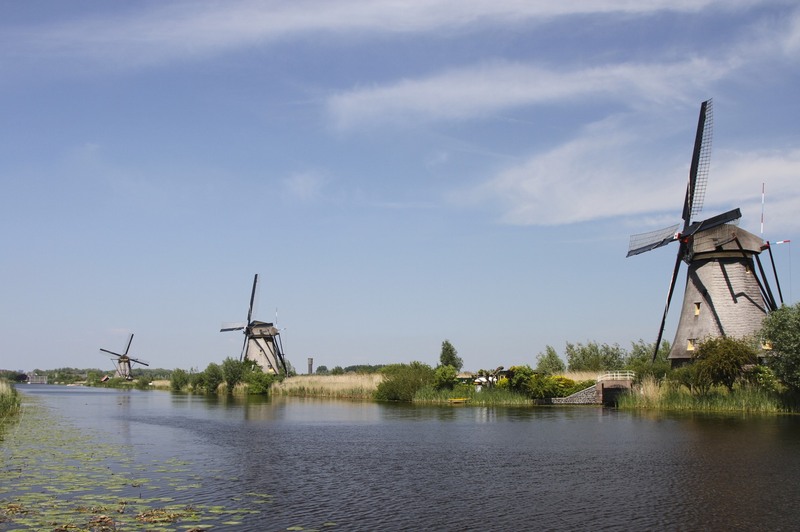 Windmills were state-of-the-art flood control and land reclamation technology, pumping water from marshes and turning them into productive farmland. Windmills changed the Dutch landscape and mindset for ever. 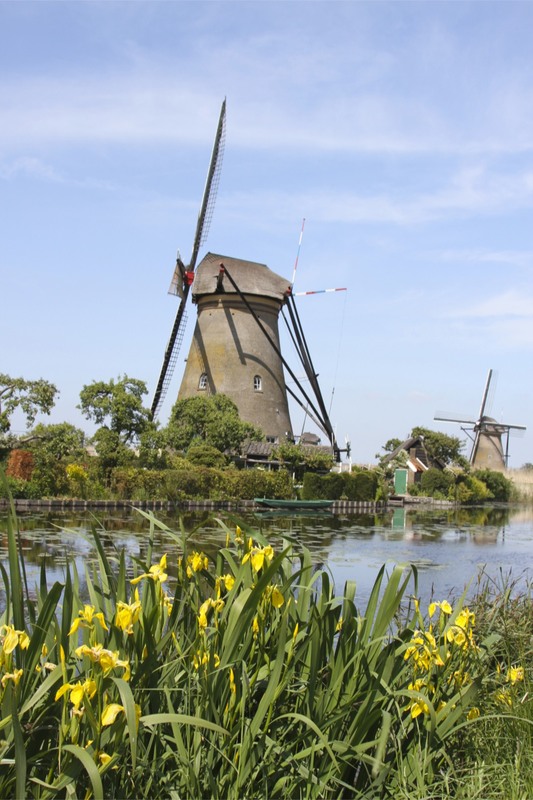 Spain may have the most famous fictional windmills, thanks to Cervantes’ Don Quixote and Sancho Panza; but when people think of windmills, they think of the Netherlands. The origins of the windmill are unclear. We know the Persians used them to grind grain around 900AD, although some claim they were a Greek invention centuries earlier. Like all good inventions they quickly spread and could be found in Northern Europe in the 1100s. It was shortly after this that a major innovation took place. Prior to the 13th Century windmills were fixed, if the wind was in the wrong direction the sails didn’t turn; then rotating windmills, allowing the blades to follow the wind, were invented. Before long, this Middle Eastern invention could be spotted across Europe, from the Iberian Peninsular to Scandinavia to Bulgaria. They were very popular in Southern and Eastern England. Yet, it was in the Netherlands and Flanders (in neighbouring Belgium) that they reached their peak. 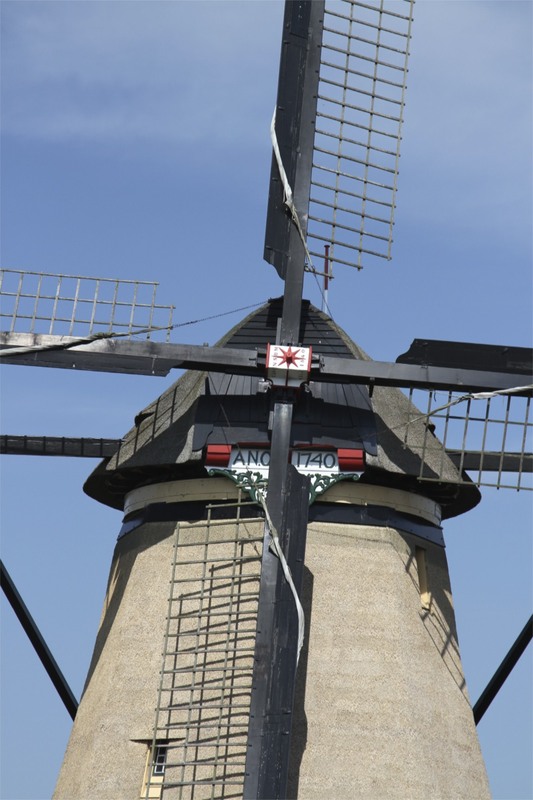 It was a Dutch windmill owner, Cornelis Corneliszoon van Uitgeest, who in the 1590s innovated the next major technological advancement – a crankshaft. Windmills could now be used for things other than grinding grain. They became sawmills, and soon there were hundreds of them sawing planks to build Dutch ships sailing to the Caribbean and Pacific spice islands. 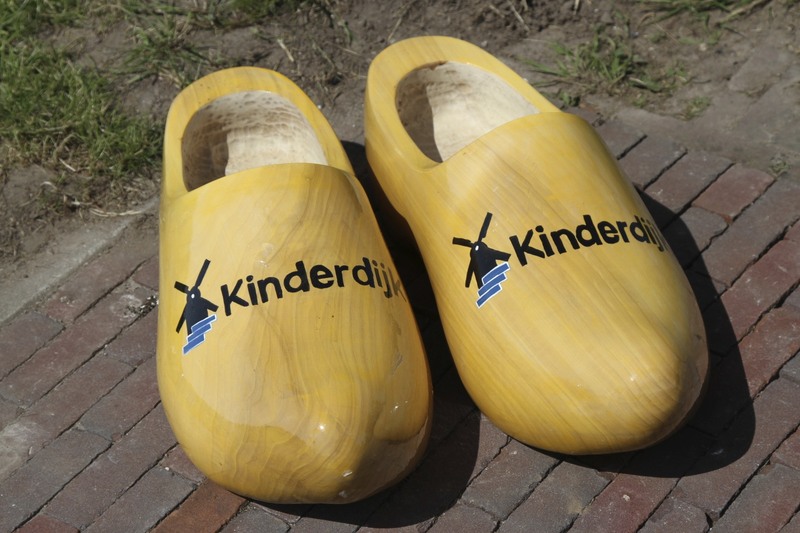 This one invention caused an industrial revolution and contributed to the Dutch Golden Age, when the Netherlands contested supremacy over trade with the Far East against other European nations, particularly England. It did have a downside: lots of hand woodcutters were left unemployed by mechanisation. The building of sawmills and windmill-powered water pumps, led to a massive surge in windmill building over the following hundred years. 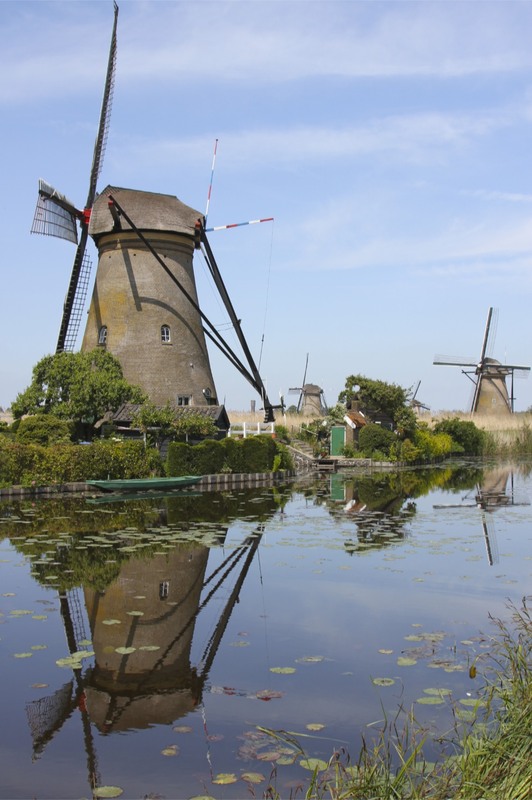 Soon the Netherlands was covered in windmills, as many as 10,000 at the height of their popularity. 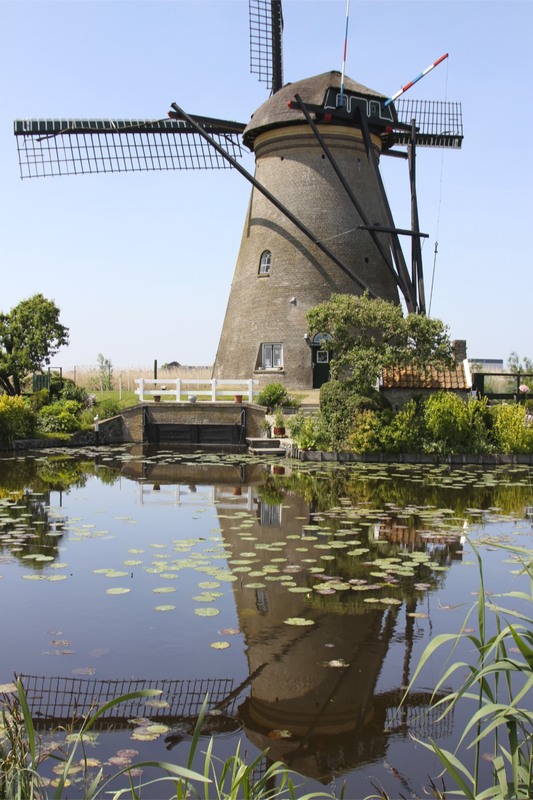 Ironically, so successful were windmills that the Dutch responded very slowly to the 19th Century Industrial Revolution, this one driven by fossil fuels and steam. History hasn’t been especially kind to the windmills of the Netherlands. Many thousands have vanished – destroyed or neglected – from the landscape. 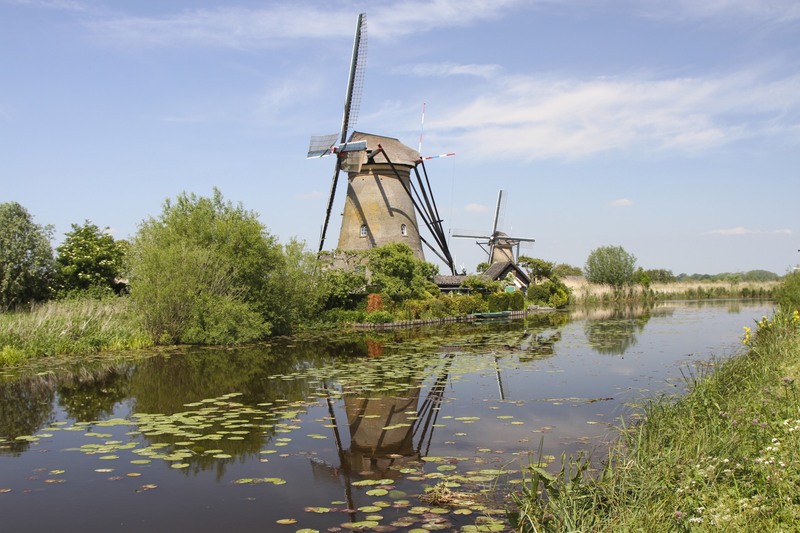 About 1000 windmills remain, and there are still a few places where you can get a sense of what the entire Netherlands must once have looked like when windmills ruled the landscape. 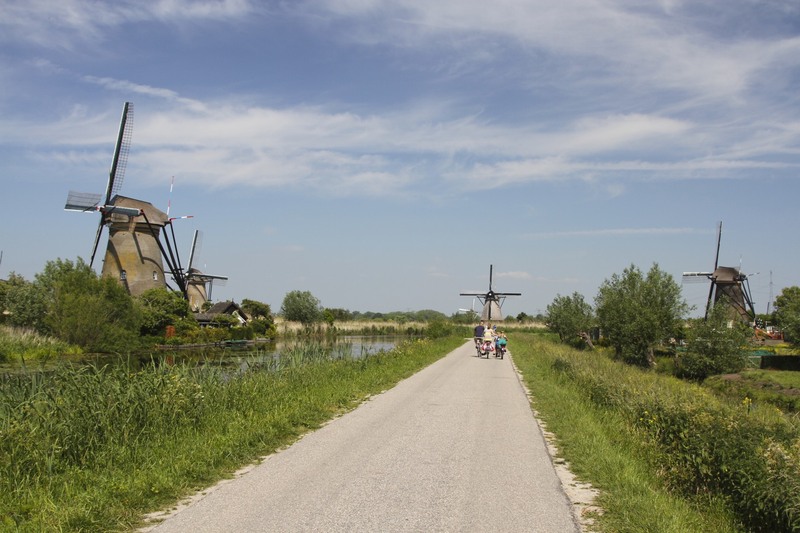 Kinderdijk is the preeminent place to see windmills, and after a short walk from the visitors centre, away from the crowds of day trippers and tour buses, history comes alive once more.